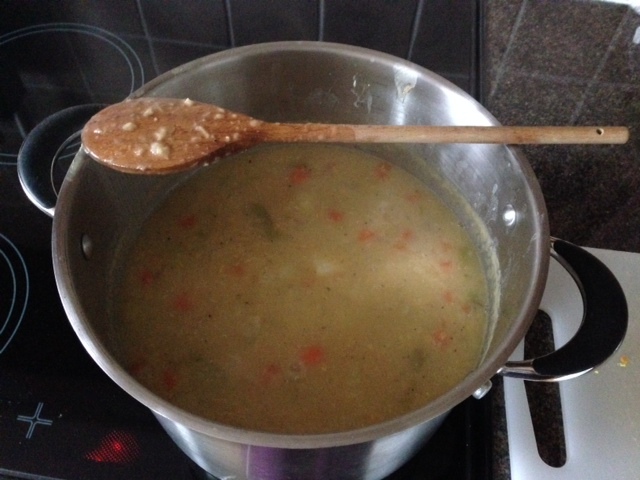 I took a notion to make soup yesterday when we were out doing our weekly shop. 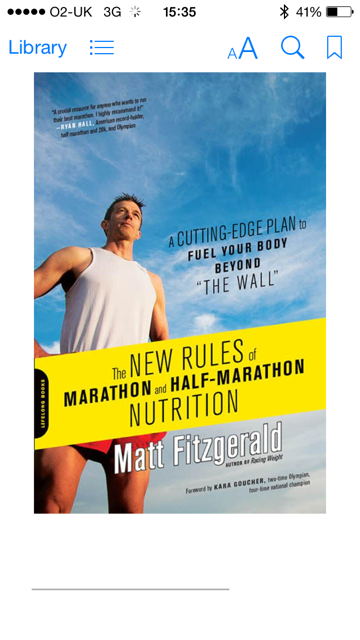 A good way for me to get vegetables in next week when I perhaps try to / should be eating more carbs. This morning I’ve made lentil soup, which is packed full of veg, and towards the end of the week I’ll think about making an effort to eat more carbs (carb load), but I won’t plan it out. 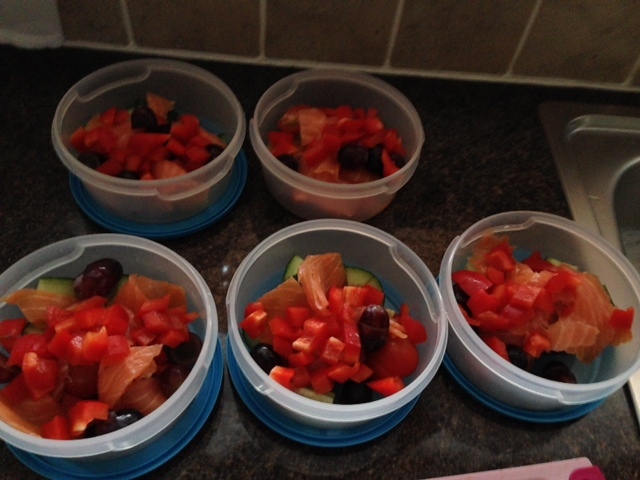 And here are my lunches: tomatoes, cucumber, smoked salmon, peppers, grapes, nuts and soy sauce. Yum.